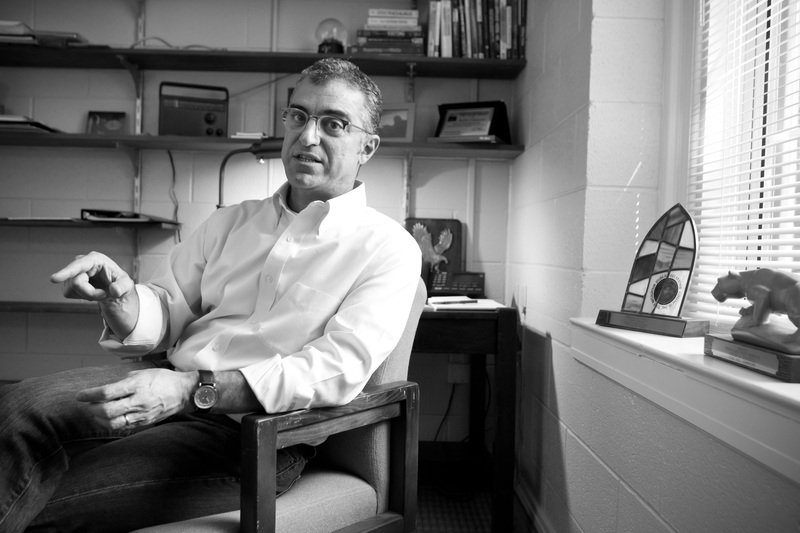 Justin Catanoso, Wake Forest journalism professor and environmental journalist, outside Tribble Hall on campus, October 2018. Photo by Ken Bennett. Justin Catanoso is a North Carolina-based journalist with 30 years of experience in covering climate change, health care, economic development and travel. He is winner of the Science-in-Society Award from the National Association of Science Writers and the North Carolina Press Association’s Public Service Award for his coverage of fraud in the tobacco industry in 1992. That groundbreaking investigative series, written with reporter Taft Wireback, drew international media attention, was used in court cases against the tobacco industry nationwide, and earned a half dozen state and national reporting awards. Its reception was such that the editors of the News & Record in Greensboro, where the series was published, nominated it for a Pulitzer Prize, the first time they had done so with any project at the paper in years. His current reporting on the impact of climate change on ecosystems ranging from rain forests to oceans to savannas and grasslands is supported by the Pulitzer Center on Crisis Reporting in Washington, D.C., and the Center for Energy, Environment and Sustainability at Wake Forest. Recent work has focused on international climate change and climate policy, and the intersection of faith and environment protection. He is now a regular correspondent for MongaBay.com, a leading environmental news site online with an international following. He has covered five UN climate summits, in Lima, Peru, in 2014, Paris, France, in 2015, Marrakesh, Morocco, in 2016, in Bonn, Germany, in 2017, and in Katowice, Poland, in 2018. He also covered the Global Climate Action Summit in San Francisco in September 2018. He has also published travel stories and journalism from the U.S., Italy, Austria, Thailand, Peru, Belize, Canada, France, Germany, Morocco and South Africa. He has worked at daily newspapers in New Jersey, Pennsylvania, Tennessee and North Carolina. And his freelance writing has appeared in The New York Times, Los Angeles Times, BusinessWeek, National Public Radio, National Geographic Daily News, Miami Herald, Houston Chronicle, Pittsburgh Post-Gazette, News & Observer of Raleigh, Charlotte Observer, Business North Carolina, Charlotte Business Journal, News & Record of Greensboro, Pacific Standard, Global Pulse Magazine.com, BusinessInsider.com, AOL Travel, Elle.com, Catholic Digest, the Interfaith Observer and airline magazines for US Airways and Delta. After 13 years as founding executive editor of The Business Journal in Greensboro, N.C., he is now a professor of journalism at Wake Forest University in Winston-Salem, N.C, and directed the program from 2011-2016. He teaches courses in reporting, editing and news literacy. 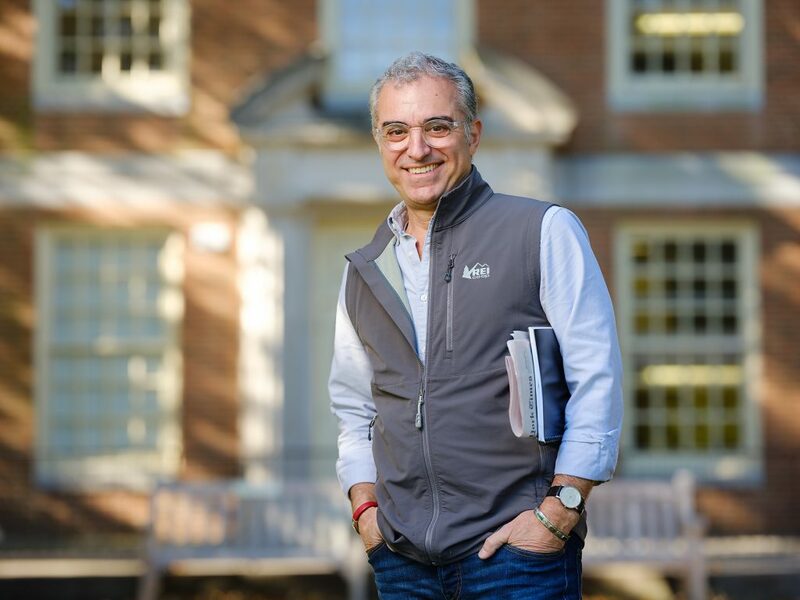 In summers, since 2014, he leads a course in international reporting for Wake Forest students. He taught in Rome, Italy, for three years — 2014-2016. The course moved to the Peruvian Amazon in summer 2017. His were the first study abroad courses in journalism Wake Forest ever offered. In May 2008, William Morrow, a division of HarperCollins, published his family memoir in a North American release titled “My Cousin the Saint, A Search for Faith, Family, and Miracles.” It was a Book of the Month Club selection, and recommended summer reading by the Order Sons of Italy in America. Harper Perennial released the book in paperback in 2009. He has three grown daughters, Emilia, Rosalie and Sophia Catanoso. 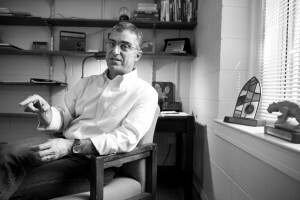 Author portraits by Ken Bennett of Wake Forest University.